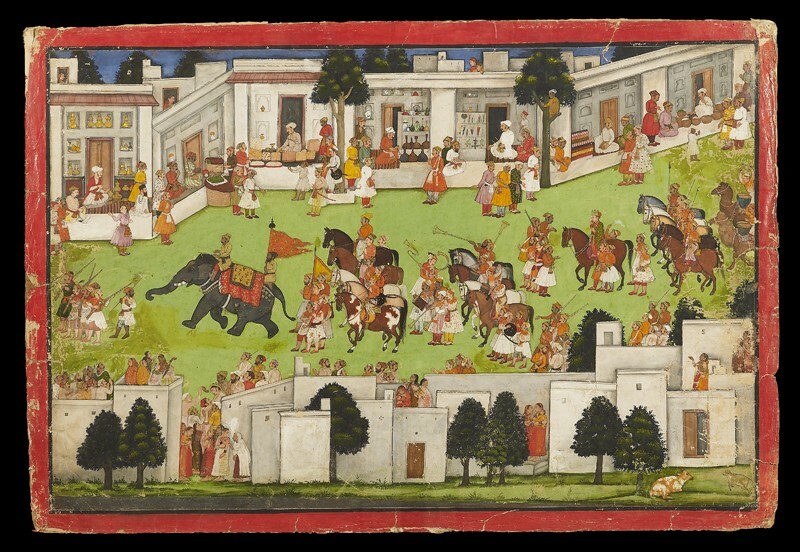 A princely bridegroom on a horse is escorted to his wedding by riders, attendants and musicians. 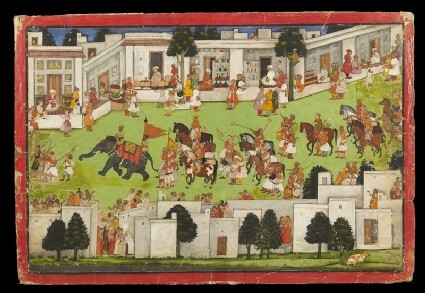 Painted by a Mughal-trained master working at the Hill court of Mandi, this procession scene gives an unusually vivid view of a prosperous 17th century bazaar. The shops sell brass vessels, pan (betel-leaf), sweets, glass or ceramic flasks and vases, knives, daggers and sword-hilts, textiles, and grains and pulses.